This project, our second for one of the pioneers of co-working space, involved the conversion of three buildings into one learning and working facility for the creative community. We provided the space plan, custom furniture design, and finish specifications. 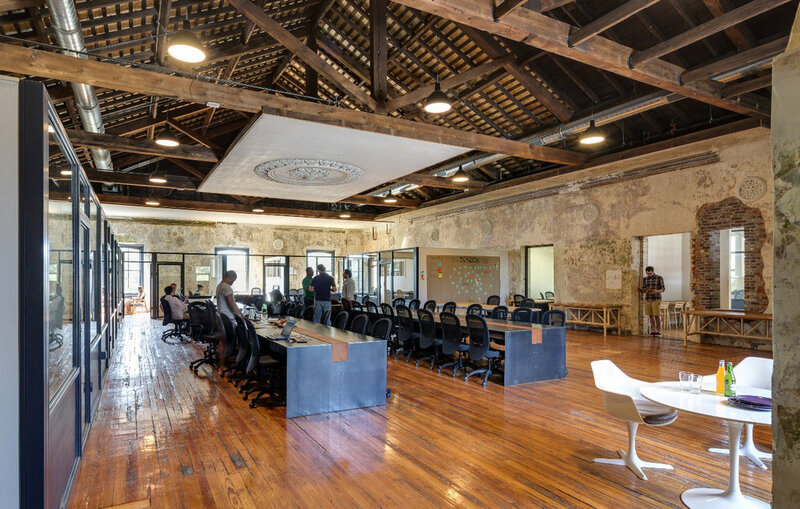 The project sought to preserve much of the original buildings’ character, like the plaster medallion over the main open space, while also providing a state of the art workplace. Building on the brand language we established in Brooklyn, the space features a blackened steel, wood, and glass reception and retail area, and our custom large scale collaborative steel and wood tables with integral power.